Good morning! Husband is sick in bed — I think I might’ve brought something home from work on Friday. Though, I am currently asymptomatic. Good thing with back-to-back hockey games this evening. On an unrelated note, let me re-visit stevia-based sweeteners: Truvia and PureVia. 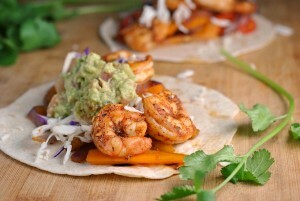 If you read yesterday’s blog, I deemed Truvia #1 to my taste-buds. Someone helpfully pointed out that they’re made from the same plant — the stevia plant. 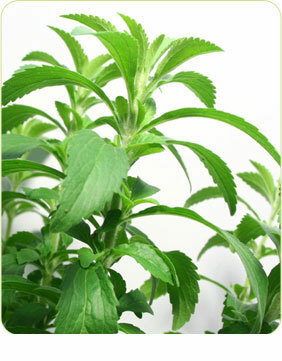 Stevia is native to Paraguay and Peru (depending on which source you reference). It is approximately 30 times sweeter than natural sugar, and is calorie free! Stevia-based sweeteners were approved for use by the FDA in December of 2008. Though they are 2-3x more expensive than saccharin (Sweet’n Low), aspartame (Equal) and sucralose (Splenda), they are gaining popularity quickly. “Truvia” is Coke’s version of the stevia-based sweetener, while “PureVia” is Pepsi’s version . Both Truvia and PureVia are calorie-free, kosher products. One packet of commercially sold Truvia equates to the sweetness of 2 teaspoons of sugar. On the Truvia website there is a Q&A section and one of the questions is: What makes Truvia natural sweetener better than other stevia-based sweeteners? So, the research goes on . The stevia plant has over 200 varieties. The quality of the “sweetness” depends on the extracted sweet compound that the leaves yield . To me this reads “some parts of the plant are sweeter than others.” We move on to PureVia’s site where they give away the answer. The sweeteners are made from Reb A (or Rebiana) — the SWEETEST part of the plant. PureVia is ethanol-purified and the Reb A is blended with other “natural ingredients” for flavor. The bulking agents in PureVia include erythritol and isomaltulose . Truvia does not purify with ethanol, according to what I’ve found thus far. Truvia also mentions no use of isomaltulose as a bulking agent . Erythritol sounds bad, but it is a natural sweetener. It’s found in fruits such as grapes and pears and is extracted naturally . 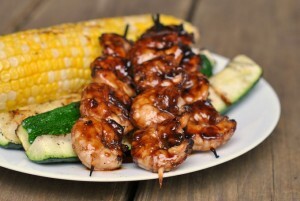 Cook on low 8-9 hours and enjoy! It was creamy and delicious! It needed no more sugar and has leftovers ready for 3 breakfasts this week! If you think I’m crock pot obsessed, you are correct! On a completely unrelated note…no more football-less Saturdays! It should be a good year for the Fighting Illini (#25) and Oklahoma Sooners (#2). The two teams play back-to-back next weekend on ESPN and I couldn’t be more excited! I’m saving my first hoodie reveal for Saturday. Crock pot vegetarian chili will be involved, as well. What college football team are you a #1 fan of? Lily and I are off to the dog park…have a wonderful day! FDA Clears Use of Herb as Sweetener. The Wall Street Journal. December 18, 2008.
. Stevia-based Sweetener Truvia Gets FDA Nod. Stevia Cafe. « Which sweet for me? Great information. I had no idea they were even different. I've learned something today, nice!